If you put the Giants draft into baseball terms I would categorize it as a double. They are in scoring position but need just a little more to get the run across. 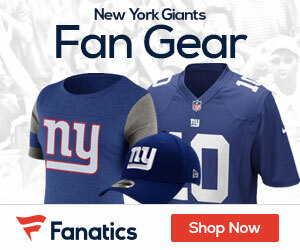 The Giants added promising defensive players Mathias Kiwanuka and Barry Cofield. Kiwanuka has tons of upside as a pass rusher but has yet to put together enough consistency, however, that might be a result of the team switching him back and forth between defensive end and linebacker. More questions have come up on his future after the Giants utilized their first round pick this year on defensive end Jason Pierre-Paul. Cofield has started since his rookie year but struggled last season and is looking to rebound. The major disappointment for this draft class is Sinorice Moss, whom the Giants selected with their 2nd round pick. Moss has just 39 career receptions and only 1 last season. This was a decent draft but could be a lot better if Kiwanuka continues to develop and Cofield rebounds. To review, the Giants drafted: Mathias Kiwanuka, Sinorice Moss, Gerris Wilkinson, Barry Cofield, Guy Whimper, Charlie Peprah and Gerrick McPherason. Peprah is in Green Bay, and McPhearson is out of the league. 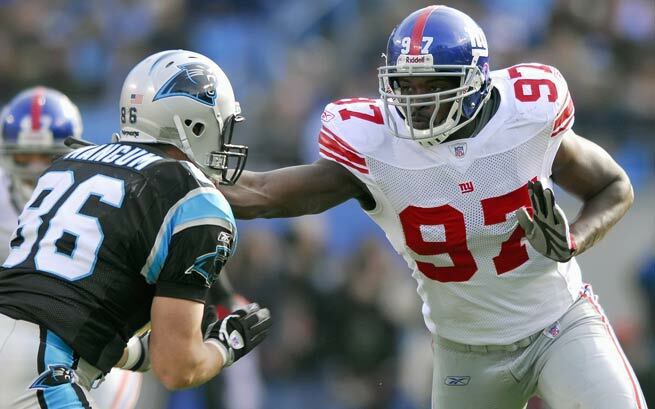 Mathias Kiwanuka: The Giants traded back with the Steelers to select Kiwi. The Steelers selected Santonio Holmes with that pick. Kiwi has accumulated 19.5 sacks in 5 seasons. He’s been moved to linebacker and back to defensive end. Kiwanuka has always been 3rd on the depth chart, behind Tuck and Umenyiora. I’ve always wondered if his move to linebacker hurt him at all. He got injured that year, and the Giants went onto win a Super Bowl. Still, his development at end may have been stunted. This is a big year for Kiwi. Last year on his contract. Jason Pierre-Paul breathing down his neck. If Kiwi doesn’t produce, he could be out of New York. The Giants could’ve had Santonio Holmes, and that would’ve been a good pick. Taken right after Kiwanuka was DeMeco Ryans, who is a Pro Bowl middle linebacker. Again, it’s hard to know what players will become when you draft them, but hindsight being 20/20, Ryans would’ve been a better pick. Still, Kiwanuka has been a decent player, but hasn’t lived up to expectations. Sinorice Moss: I was a huge fan of Moss coming out of college, but he’s been a huge bust. 39 catches, only 3 touchdowns. He’s dealt with injuries, but he hasn’t been the deep threat we all thought he was going to be. I’m surprised he’s still on the team, to be honest. He’s probably sixth on the wide receiver depth chart, and his job is in serious jeopardy. He’ll battle with Derek Hagan for the last spot. Selected after Moss: Marcus McNeill, Devin Hester and Maurice Jones-Drew. All three of those players would have been better than Moss. Moss is a good guy,, he just isn’t a good player. Gerris Wilkinson: Never able to stay healthy. That’s been his big problem. He has a chance this year to start at middle linebacker, although he’s behind Jon Goff on the depth chart. If he can stay healthy, maybe he can live up to his potential, but at this point, it’s really hard to tell. He has only 48 career tackles. If he stays healthy, and that’s a big if, he could be the starter. If he is, we’ll get a chance to finally see him play on a regular basis. But, it’s a big if. Selected after Wilkinson: Owen Daniels, Jahari Evans, Leon Washington and Brandon Marshall. Barry Cofield: Probably the best pick of this draft for the Giants. He’s been a consistent starter his whole career. He was almost traded this offseason, but that was because the Jints got a great offer from the Saints. Cofield is just a good football player. Good run stopper. Good pass rusher. He’s was part of the great defensive line of 2007. He’s one of the more underrated players in the league. Giants got a steal. Guy Whimper: A career backup, Whimper may get a chance to start at left guard this year. Whimper hasn’t done much in his Giants career, and if he doesn’t win the left guard job, he could be off the team. Drafted as the left tackle of the future, he has been anything but. Whimper is on his last legs with the team. Charlie Peprah/Gerrick McPhearson: Both never played for the Giants. Waste of draft picks. The Giants 2006 draft, in my opinion, was pretty average. Some good players (Cofield, Kiwanuka) some bad players (Moss), and some who haven’t yet put it together due to extenuating circumstances (Wilkinson). This wasn’t their best effort, but it wasn’t their worst. Check out NFLMocks for more great draft analysis. What do you think of the 2006 draft? I know Moss hasn’t been that productive, but he gets a lot of credit for mimicking Wes Welker during Super Bowl practices, to the point where most players on the defense, say they couldn’t have been prepared without his work, so he should at least get a D as he was an integral part to the Giants wearing rings a couple years back. 2006 wasn’t a good draft really thought Moss was a good pick at the time. Didn’t the Giants do a trade to get him?